Two more weeks down and our August release draws closer. We’re proud of the state of Fictorum, especially with the latest patch, which has a new Spellblade melee ability and destructible damage changes! Greg is back at it with this patch’s vlog. Check out the latest changes in action! 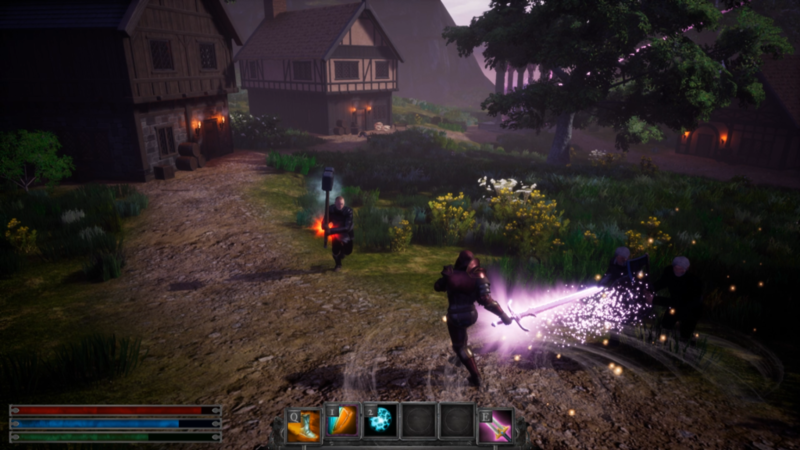 An intrepid Fictorum can encounter the powerful Spellblade ability, enabling the wizard to overpower enemies at close range. Consider yourself warned: Falling rubble now deals damage to player in Easy, Medium, and Hard difficulties as well! The damage dealt is greatly scaled by difficulty. Gravity well causes enemies to get up at odd times.